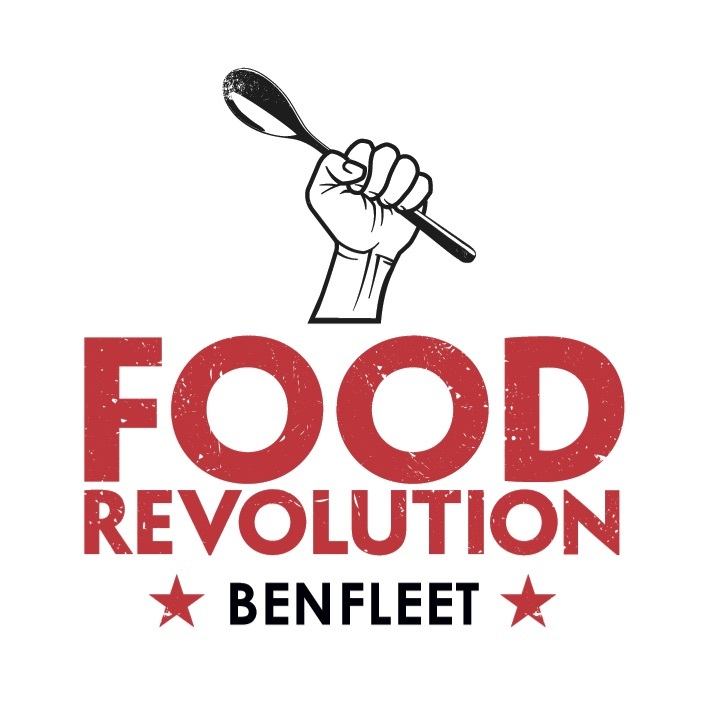 After a great summer ( most of us enjoyed the sunshine somewhere hot ) we are now back in the full swing of our busy lives (….and that not so warm weather), and probably we are all thinking about a nice warm dish we can cook for dinner. One of the dishes that comes into my head and is also inspired by the latest documentary from Jamie Oliver (#SugarRush), is my Chicken Stanotte (title taken from a well known supermarket brand…), just to show that is as easy to prepare your own sauce instead of buying it ready made. Don’t forget that making your own dish is a simple and healthier option and despite our busy schedules we always need to find some time to cook fresh meals. 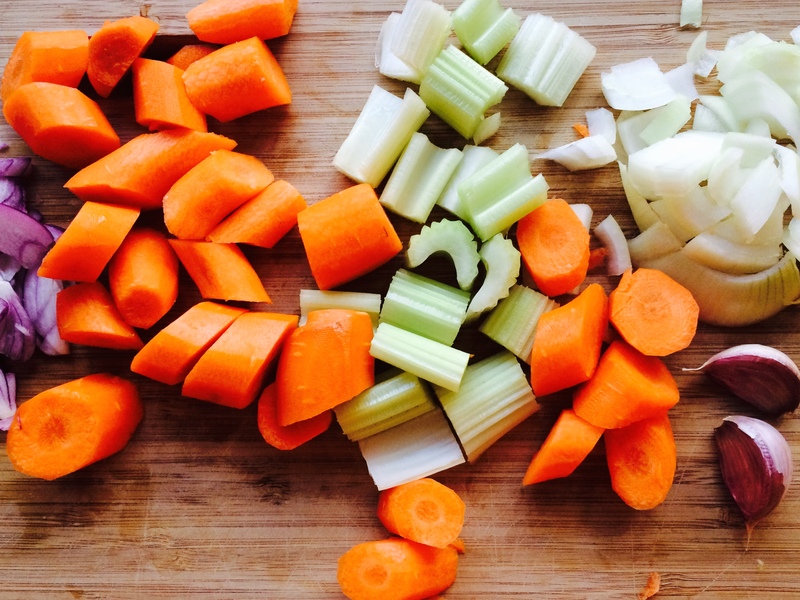 Stock up your pantry and your fridge with fresh vegetables and fruit! Fresh fruit is an healthier option to sweets, crisps and chocolate bars, most of all after children come back from school. Besides there are so many great dishes we can create with fresh produce. So have all your ingredients ready and let’s start! 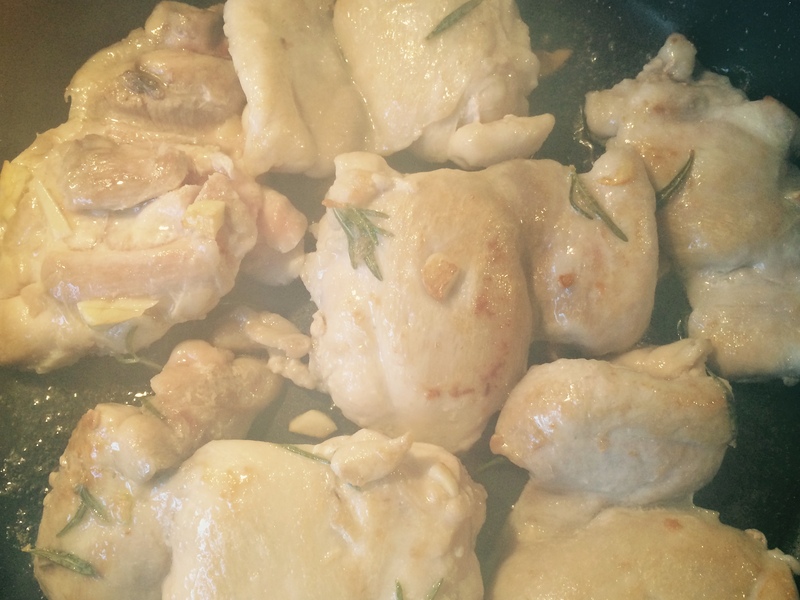 In a large bowl marinate the chicken thighs with the garlic, rosemary , salt and olive oil. Leave it to rest for 5 minutes. In a large pan (make sure it’s oven proof) put a little olive oil, put the pan on a medium heat and add the vegetables (celery, carrots, peppers red and white onion). Simmer until golden. Take a nonstick pan and put it on the heat until warm and add the chicken thighs. Cook them on one side and turn them over once golden. The juice from the marinate will prevent them sticking to the pan. If you wish, add a pinch of salt. Cook with the lid off until both sides are cooked. Put them to one side. 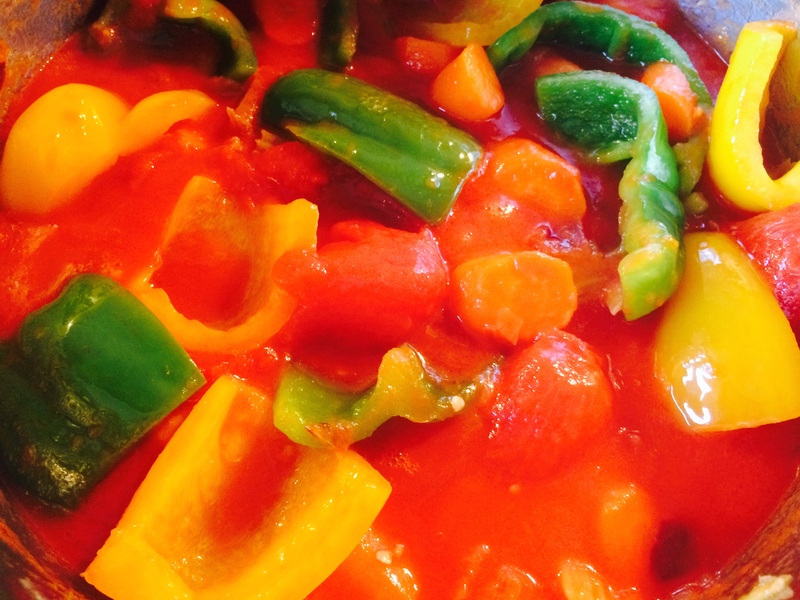 Add the tin of tomatoes and the stock into the pan with the vegetables, stir and cook with the lid on for 10 minutes. 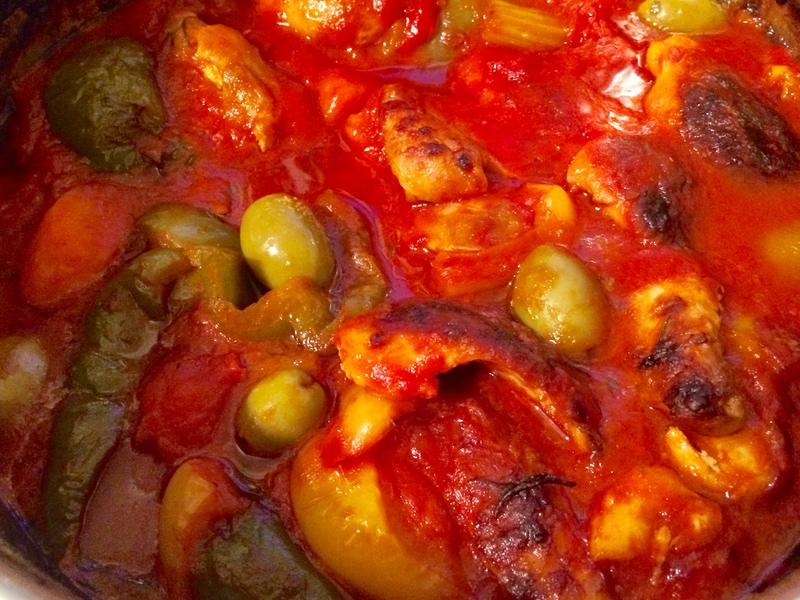 Place the chicken thighs into the pan with the vegetables, add the olives. Make sure the sauce covers the meat so it won’t dry up in the oven. Place the pan in the oven and cook for another 10 minutes…..Pronto! To give a touch of freshness to your dish you can sprinkle some finely chopped basil. Enjoy your chicken with some warm bread or some rice. Buon Appettito !!! Please, please, pretty please!!! 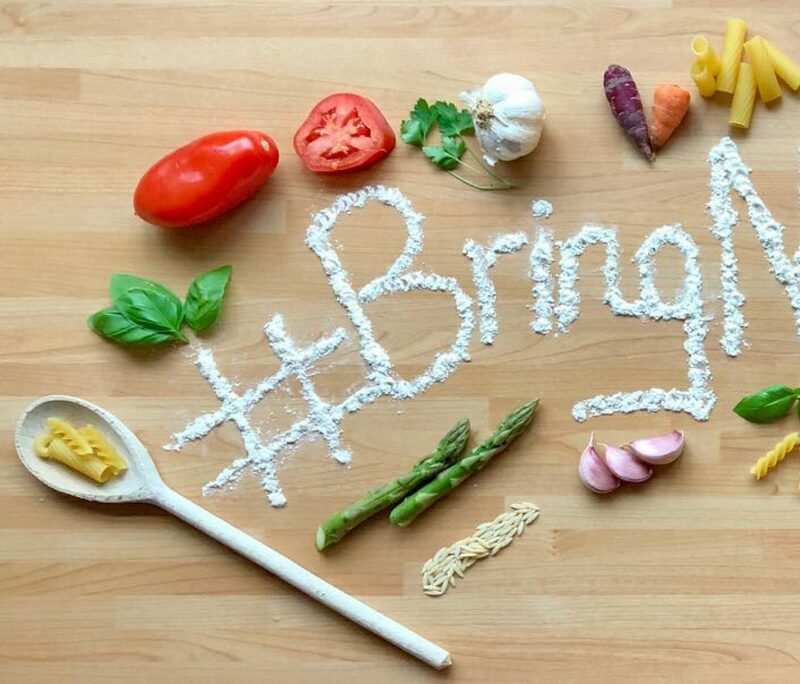 Be aware of the added sugar in your food and drinks, cook sensibly and ditch heavy ready sauces!